BOSSIER CITY, LA – Visitation for Ursula Falting will be held on Wed, Feb 19, from 2:00-4:00 at Hill Crest in Haughton, LA, followed by graveside service at 4:00. 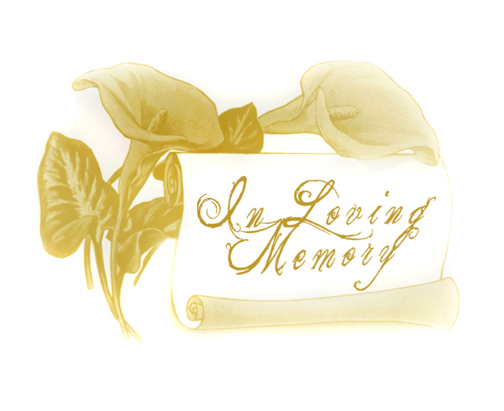 Mrs. Ursula Erna Falting passed away Friday, February 14, 2014, as the result of injuries sustained in a car accident the previous week. Born Ursula Erna Dorrmann on January 30, 1930, Ursula was a survivor of the Berlin bombings during World War II. Later she met and married a handsome American soldier named Richard A. Falting. In October 1954, Richard and Ursula and their young son Lutz boarded a boat for America. Their journey was made difficult by the fact that the men were required to travel on different levels of the ship from the women and children during their lengthy voyage. After arriving in America, Richard’s first assignment was in Tucson, AZ, where Ursula assumed that much of America must be a desert. She wondered many times if she would ever find her way back home to Berlin. Ursula became a supportive Air Force wife, traveling from Arizona to Massachusetts, New York to California, and eventually to Barksdale Air Force Base, where they retired and remained for the rest of their lives. Ursula worked in the credit department at J. C. Penney, retiring after many years of service. Upon retirement, she promptly joined an exercise group and the South Bossier Homemakers’ Club, remaining active in both groups until her death. She also met monthly with a group of German ladies who all came to America as brides post-World War II. By far, her favorite activity was spending time with her ever-growing family. Many hours were spent around the kitchen table playing Scrabble, Uno, and Yahtzee with her grandsons. Mrs. Falting was preceded in death by her devoted husband Richard A. Falting. She is survived by her only son, Lutz Patrik Falting, grandsons Erick and wife Brandi, Kent and wife Konni, Kyle and wife Misty, and their mother Pat Falting. One of Mrs. Falting’s greatest joys was being a great-grandmother to her eight great grandchildren: Chase and Cali Woltz, Cross Falting, Gabriel and Declan Falting, Lilla Joy, Jude, and Evangeline (born Feb 12, 2014) Falting. Our mom and “Granny” loved being with her family and we are grateful to have celebrated her 84th birthday together just two weeks ago. How fitting that God blessed her on Valentine’s Day with the perfect gift: reuniting her with the love of her life. Ursula was a remarkable woman of courage who will be dearly missed by all who knew her. Our loss is certainly Heaven’s gain!